Utilities typically use batteries to provide an uninterruptible supply of electricity to power substation switchgear and to start backup power systems. However, there is an interest to go beyond these applications by performing load leveling and peak shaving with battery systems that can store and dispatch power over a period of many hours. Batteries also increase power quality and reliability for residential, commercial, and industrial customers by providing backup and ride-through during power outages. Wind energy is entering the grid at an ever-increasing pace. As penetration levels increase, utilities are adjusting to the variable nature of wind-generated energy. Substantial penetration of such intermittent generation can place considerable, localized stress on the electricity grid in the U.S. Any need to back up these variable generators with conventional fossil-fired generators limits their positive impact on emissions production. The emergence of a new generation of advanced batteries that are safe, low-cost, and efficient enough to allow for storage on the grid has led to the first instances of large-scale energy storage for the electric distribution network. Although this is happening at the fringes of the network with high-value applications like frequency regulation and demand charge mitigation, it is happening. Flow Batteries - A flow battery stores and releases energy by means of a reversible electrochemical reaction between two electrolyte solutions. Flow batteries differ from conventional rechargeable batteries mainly because the power and energy ratings of a flow battery are independent of each other. This is made possible by the separation of the electrolyte and the battery stack (or fuel cell stack). Flow batteries can be thought of as a hybrid of a fuel cell and a battery. They operate by flowing a charged electrolyte from one tank to another across a charge/discharge stack and that can operate for decades. Flow battery technology utilizes an active element in a liquid electrolyte that is pumped through a membrane similar to a fuel cell to produce an electrical current. The system’s power rating is determined by the size and number of membranes, and the runtime (hours) is based on the gallons of electrolyte pumped through the membranes. Pumping in one direction produces power from the battery, and reversing the flow charges the system. early prototypes are already in commercial operation, but they need further testing. Lead-Acid Batteries - The most common form of energy storage in use today. The rapid growth of data centers to support the Internet and communications centers. These facilities are sensitive to power supply disruptions, so large battery-powered protection systems have been and will continue to be deployed to achieve a high level of protection. Powering these types of loads currently accounts for over 1.5% of the total utility power consumption in the United States. In the past, use of lead-acid batteries for utility applications such as peak shaving was tested, but the economics and life cycle characteristics were not ideal for the daily cycling capabilities desired in utility applications. Total consumption in the United States of lead-acid batteries for commercial, industrial, and automotive use is $2.9 billion per year and increasing annually at 8 percent. The largest lead-acid battery grid energy storage installation is a 10-MW/40-MWh ﬂooded lead-acid system that was built in 1988 in Chino, CA, which is used for load leveling at the Chino substation of Southern California Edison Company. The primary advantage of the lead-acid batteries is their low capital cost and easy availability. The battery demonstrated the value of stored energy in the grid, but its limited cycling capability, along with high maintenance, made its life-cycle cost unacceptable. Advanced lead-acid batteries have proven to be excellent performers in power-intensive applications. The casual battery user may think there is only one lithium-ion battery. As there are many species of apple trees, so do also lithium-ion batteries vary and the difference lies mainly in the cathode materials. Innovative materials are also appearing in the anode to modify or replace graphite. Scientists prefer to name batteries by their chemical name and the material used, and unless you are a chemist, these terms might get confusing. Table 1 offers clarity by listing these batteries by their full name, chemical definition, abbreviations and short form. NaNiCl – Sodium Nickel Chloride Battery - A high-temperature batteries operate above 250ºC and utilize molten materials to serve as the positive and negative elements of the battery The NaNiCl battery systems are utilized in Europe primarily for electric bus applications. Ni-Metal Batteries - Nickel-cadmium (Ni-Cad) and Nickel metal hydride (Ni-MH) batteries, common to power tools, have also found applications in backup electric power applications but are being surpassed by other technologies for cost and energy-density reasons in utility applications. Ni-metal batteries were another early electrochemical energy storage technology that was demonstrated for stationary applications. These batteries all share the same cathode (nickel oxyhydroxide in the charged state) but a diﬀerent anode that can be cadmium, zinc, hydrogen, metal-hydride, or iron. A nickelcadmium system was commissioned in 2003 in Fairbanks, Alaska, to provide 27 MW ac power for a short period of time (up to 15 min) until back generation comes online. The Ni-metal batteries are susceptible to overcharge, and their direct current DC-to-DC round-trip eﬃciency is low (<70%, round-trip eﬃciency). For the Ni-cadmium in particular, cadmium is toxic and considered a serious environmental hazard that has to be handled with special disposal means. The use of high-cost metals makes it diﬃcult to meet the cost targets for the stationary market. NaS - Sodium-Sulfur Battery - A type of battery constructed from sodium (Na) and sulfur (S). Utilities have been using sodium sulfur (NAS) batteries in over 200 large-scale projects around the world, with roughly 300 megawatts operating in Japan and 13 megawatts operating in the United States, for a total of approximately 2000 megawatt hours of energy. This type of battery exhibits a high energy density, high efficiency of charge/discharge (89—92%), long cycle life, and is fabricated from inexpensive materials. . These chemistries produce battery systems with very high power densities that serve well for storing large amounts of energy. Because of the operating temperatures of 300 to 350 °C and the highly corrosive nature of the sodium polysulfide, such cells are primarily suitable for large-scale non-mobile applications. A suggested application is grid energy storage. A 6 MW, 48 MWh system has been installed at Tsunashima, Japan. Several other utilities are considering and implementing such a system. The sodium sulfur battery is a technology widely used in Japanese utilities. The NaS battery is currently being deployed in the United States by several large utilities in demonstration projects. One noteworthy leader in applying energy storage to T&D applications is American Electric Power (AEP). AEP is deploying a 5 megawatt NaS battery to solve a transmission issue in southern Texas. AEP has stated a commitment to add 1,000 MW of energy storage to their grid by 2020. NaS battery is currently being deployed in the United States by several large utilities in demonstration projects. The NaNiCl battery systems are utilized in Europe primarily for electric bus applications. Lithium Air - The technology that IBM has targeted for its first move into batteries, based on its previous expertise on membrane technologies. Some researchers believe that lithium-air batteries using ambient air could achieve energy densities equivalent to that of gasoline. Lithium-air batteries might be considered a "generation after next" technology, given the steps that remain between theory and practical application. One big problem is that it's difficult to reverse the reaction that provides power, making recharging a challenge. Some key problems include finding the right catalysts to reverse the chemical reaction at low enough energy levels, as well as advances in nanotechnology to distribute that catalyst close enough to the metals.These more advanced batteries may also require three to four times as much lithium as current batteries, which adds cost. In July 2011, MIT researchers announced they have found a way to improve the energy density of lithium-air batteries, producing a device that could potentially pack several times more energy per pound than the lithium-ion batteries that now dominate the market for rechargeable devices in everything from cellphones to cars. The work is a continuation of a project that last year demonstrated improved efficiency in lithium-air batteries through the use of noble-metal-based catalysts. In principle, lithium-air batteries have the potential to pack even more punch for a given weight than lithium-ion batteries because they replace one of the heavy solid electrodes with a porous carbon electrode that stores energy by capturing oxygen from air flowing through the system, combining it with lithium ions to form lithium oxides. The new work takes this advantage one step further, creating carbon-fiber-based electrodes that are substantially more porous than other carbon electrodes, and can therefore more efficiently store the solid oxidized lithium that fills the pores as the battery discharges. IBM says we will see battery performance jump tenfold with a lithium air battery. Lithium-air batteries store energy by combining lithium with oxygen. On a theoretical basis, lithium air can store 3,400 watt-hours of energy per liter. Lithium cobalt can store 1,450 watt hours per liter. ZEBRA Battery - Operates at 245 °C and utilizes molten sodium aluminumchloride (NaAlCl4), which has a melting point of 157 °C , as the electrolyte. The negative electrode is molten sodium. The positive electrode is nickel in the discharged state and nickel chloride in the charged state. Because nickel and nickel chloride are nearly insoluble in neutral and basic melts, intimate contact is allowed, providing little resistance to charge transfer. Since both NaAlCl4 and Na are liquid at the operating temperature, a sodium-conducting β-alumina ceramic is used to separate the liquid sodium from the molten NaAlCl4. This battery was invented in 1985 by the Zeolite Battery Research Africa Project (ZEBRA) group led by Dr. Johan Coetzer at the Council for Scientific and Industrial Research (CSIR) in Pretoria, South Africa, hence the name. Zinc-Air Battery - Electro-chemical batteries powered by oxidizing zinc with oxygen from the air. These batteries have high energy densities and are relatively inexpensive to produce. Zinc-air batteries have higher capacity-to-volume (and weight) ratio than other types of battery because air from the atmosphere is one of the battery reactants. Unlike Lithium, Zinc is one of the world’s most plentiful and inexpensive metals, stable, non toxic, energy dense, and locally available (US, Canada and Australia are three of top five global zinc producers.) Sizes range from very small button cells for hearing aids, larger batteries used in film cameras that previously used mercury batteries, to very large batteries used for electric vehicle propulsion. Large primary zinc-air cells such as the Thomas A. Edison Industries Carbonaire type were used for railway signaling, remote communication sites, and navigation buoys.These were long-duration, low-rate applications. The term zinc-air fuel cell usually refers to a zinc-air battery in which zinc metal is added and zinc oxide is removed continuously. Zinc electrolyte paste or pellets are pushed into a chamber, and waste zinc oxide is pumped into a waste tank or bladder inside the fuel tank. Fresh zinc paste or pellets are taken from the fuel tank. The zinc oxide waste is pumped out at a refueling station for recycling. Alternatively, this term may refer to an electrochemical system in which zinc is a co-reactant assisting the reformation of hydrocarbons at the anode of a fuel cell. Rechargeable zinc-air cells are a difficult design problem since zinc precipitation from the water-based electrolyte must be closely controlled. The problems are dendrite formation, non-uniform zinc dissolution and limited solubility in electrolytes. Electrically reversing the reaction at a bi-functional air cathode, to liberate oxygen from discharge reaction products, is difficult; membranes tested to date have low overall efficiency. Charging voltage is much higher than discharge voltage, producing cycle energy efficiency as low as 50%. Providing charge and discharge functions by separate uni-functional cathodes, increases cell size, weight, and complexity. A satisfactory electrically recharged system potentially offers low material cost and high specific energy, but none has yet reached the market. Eos Energy Storage of New York has developed the Eos Aurora, a proprietary zinc-air battery that can be used to meet the energy storage needs of utilities, electric vehicles, the military, and major industrial and commercial enterprises. They have acheived the most cycles ever realized by metal-air battery >1000 battery cycles demonstrated to date with no physical degradation and are hoping for a commercial product release in 2013. Anode - the electropositive electrode from which electrons are generated to do external work. In a lithium cell, the anode contains lithium, commonly held within graphite in the well-known lithium-ion batteries. Cathode - the electronegative electrode to which positive ions migrate inside the cell and electrons migrate through the external electrical circuit. Electrolyte - Transfers ions/charge between electrodes during charge and discharge cycles. It allows the flow only of ions and not of electrons. The electrolyte is commonly a liquid solution containing a salt dissolved in a solvent. The electrolyte must be stable in the presence of both electrodes. An ideal electrolyte provides high conductivity over a broad temperature range, is chemically and electrochemically inert at the electrode, and is inherently safe. Too often the electrolyte is the weak link in the energy storage system, limiting both performance and reliability. Current Collectors - Allow the transport of electrons to and from the electrodes. They are typically metals and must not react with the electrode materials. Typically, copper is used for the anode and aluminum for the cathode (the lighter weight aluminum reacts with lithium and therefore cannot be used for lithium-based nodes). According to Navigant Research, global installed energy storage for the grid and ancillary services (ESGAS) power capacity is expected to grow from 538.4 MW in 2014 to 20.8 GW in 2024. Also according to Navigant, lithium ion (Li-ion) batteries remain the leading form of storage for new projects worldwide, accounting for 83.0% of newly announced ESS capacity storage through 3Q 2016 (excluding pumped hydro storage). Li-ion batteries are the most popular technology for the growing distributed energy storage system (DESS) and BTM market segments. Also notable within the market is the increase in announced projects utilizing flow batteries and hybrid battery systems. Hybrid systems are advantageous in that they can provide multiple services to the grid based on dynamic conditions and specific requirements. While market activity has picked up in a number of regions during 2016, North America remains the largest market for newly announced ESSs. An estimated 1,997.3 MW of new ESSs have been announced worldwide in 2016 so far, with approximately 15.8% coming from North America. Utility-scale energy storage is poised for prodigious growth over the next decade, according to a July 2015 report by the market research firm Frost & Sullivan. The global market for large-scale batteries will expand from about $460 million in 2014 to a $8.3 billion in 2024, according to Frost & Sullivan. The big winner in the near term will be lithium-ion batteries, which are projected to account for the lion's share of capacity growth over the next two to three years. Rapid growth in variable renewable energy generation globally, and new regulatory policies governing performance criteria for their interconnection with the grid, are driving the demand for grid-modernization using rapid response battery storage technologies. The total installed capacity of battery systems is currently about 0.43 gigawatts (GW) globally. By 2024, the installed capacity of battery system is projected to reach from 10 to 12 GW. Development will be due to the growth in distributed renewable power, as well as the opportunities created by transmission capacity constraints. However, a significant degree of technological development, cost reductions and practical data collection is required before broad market acceptance can be expected. 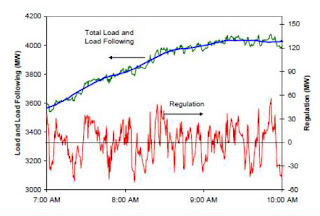 A Smart Grid is a key enabler in integrating batteries with the goal of peak reduction. Large-scale, efficient, electrical energy storage (EES) systems should be able to compensate for intermittent or variable generation and still ensure that electricity is reliably available 24 hours a day without the need for fossil-fueled generation backup. The clear market chemistry leader in utility-scale applications of batteries on the grid is lithium ion (Li-ion). These batteries offer the best mix of performance specifications for most energy storage applications. Load Shifting - Utility load shifting can reduce T&D congestion, improve asset utilization and defer system upgrades. Time shifting of wind generated energy to meet desired utility criteria. No Fuel Required - Like traditional batteries, but unlike fuel cells, flow batteries are an "electricity in, electricity out" system. There is no external fuel source, such as hydrogen, that is added regularly to recharge the system. Instead, electric energy is supplied to the system at one time, and the system stores that electric energy in electrochemical form until it is needed later. For grid applications, this simpler arrangement avoids the need to create new fuel or distribution systems. Common Materials - In addition, unlike fuel cells, flow batteries are not based on rare or valuable materials. Fuel cells typically use platinum or other expensive catalysts to speed the oxidation of their energy carrier. Instead, the material at the heart of a flow battery cell is vanadium, a plentiful, nontoxic metal. Cost - Too expensive - To cut costs, battery makers need new sources of raw materials. For example, the cobalt oxide used for cathodes in lithium-ion batteries is expensive and comes from politically unstable regions. Options being explored for cathode material include lithium iron phosphate, lithium manganese oxide spinel, titanium, and aluminum. Sixty percent of the batteries cost comes from the raw materials and forty percent from the manufacturing process which can have up to sixty steps. If cheaper materials can be secured and the manufacturing process streamlined, real cost savings can be realized. In March 2015, Hossein Safaei, an energy analyst at IHS Energy, and David Keith, a professor of physics at Harvard University, presented the results of research undertaken for members of the Electricity Policy Group at Harvard's Kennedy School of Government. Safaei and Keith concluded that utility-scale batteries are far more expensive strategies than natural gas-fired generators for purposes of solving the problems identified by Frost & Sullivan as drivers of battery demand growth. Large-scale batteries are not the only way to address the issues created by intermittency, transmission capacity constraints and so forth. Indeed, according to Safaei, large-scale battery systems are not even competitive with mechanical energy storage systems, which includes compressed air energy storage and pumped hydro storage. Fire Safety - In August 2012. a fire destroyed Xtreme Power's battery storage facility n on the north shore of Oahu, Hawaii, at the 12-turbine, 30-megawatt Kahuku wind farm,. Developed by First Wind, the Kahuku facility is augmented with a 15-megawatt battery from VC-funded Xtreme Power and sells power to the island utility, HECO. Firefighters did not enter the building until seven hours after the flames started because of questions regarding the toxicity of the "12,000 batteries." The Honolulu Fire Department said a fire at the same building in April 2011 burned itself out. 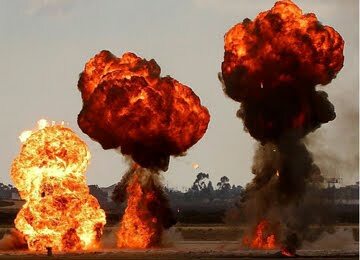 There was another fire in May of this year, and both fires were attributed to ECI capacitors in inverters from Dynacorp. Xtreme is suing Dynacorp, according to Courthouse News Service. Low Energy Density - While a flow battery using an electrolyte solution doesn't have the same energy density as a fuel cell using hydrogen as an energy carrier, for most grid applications high energy density is not a key design factor. Because of this lower energy density, you won't see a flow battery powering a car on the street, but the price and performance do create the potential for significant grid applications. Electric Vehicles vs. Grid Battery Requirements - The electric vehicle application drives most R&D for advanced materials today, but it is also the most demanding application and thus the one that justifies higher costs. In the long term, the best energy storage technologies for utility-scale applications may be different from those used for electric-drive vehicles. Tesla Motors Palo Alto, CA (TSLA) - Nasdac - Plans to build the world's largest Lithium-ion battery factory—called the Gigafactory—before 2020. The factory would be approximately 10,000,000 square feet in size and will produce 35 gigawatt hours of cells per year. The cost of the battery is only ~10-20% higher than the bill of materials – suggesting a potential long-term competitive price for lithium-ion batteries could approach ~$100 per kWh. Tesla Powerwall is a home battery that charges using electricity generated from solar panels, or when utility rates are low, and powers your home in the evening. It also fortifies your home against power outages by providing a backup electricity supply. Automated, compact and simple to install, Powerwall offers independence from the utility grid and the security of an emergency backup. What all of this adds up to is that home battery storage isn’t economical today, but it’s viable for a subset of the high-consuming market, it’s desirable for its green credentials, it’s desirable due to the hype factor and it will defray its costs. And that the home storage market tomorrow will be viable for a much larger percentage of the market with increasing systemic pressures and pricing that will make it more attractive. Tesla’s home storage battery is getting attention because they are staking a major claim to a market which is expected to increase dramatically. A123 - Watertown, MA - Founded in 2001, was one of the world’s leading suppliers of high-power lithium ion batteries. A123 Systems had more than 3000 employees as of December 2012. In August 2012, the Chinese auto industry Wanxiang Group had agreed to invest up to $465 million to acquire as much as 80% of A123 Systems but the acquisition was not completed before A123 filed for bankruptcy. On October 16, 2012, A123 filed for bankruptcy protection under Chapter 11, Title 11, United States Code. On January 28, 2013, Wanxiang America purchased the preponderance of A123's assets out of bankruptcy for $256.6M and organized A123Systems, LLC. A123 reached an agreement to sell its grid storage unit to NEC Corporation. A123 retains all of its R&D and cell manufactuing facilities globally as it focuses primarily on transportation markets. The company will remain a key cell supplier to NEC for future grid storage projects while also pursuing new applications for its cells in the commercial and industrial markets. NGK Insulators - Nagoya, Japan - Their NAS Battery system reduces fluctuation by load leveling and peak shaving.We have jointly developed this "NAS battery" with the Tokyo Electrical Power Company. After extensive testing and demonstration, the prospect of commercial utilization has now been realized. Their NAS battery is expected to play an important role in reducing power demand fluctuations. 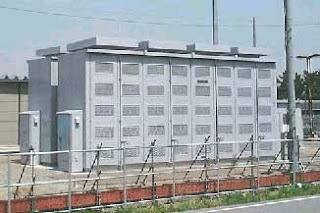 On September 21, NGK-manufactured NAS batteries for storing electricity owned by The Tokyo Electric Power Company, Incorporated (Head Office: Chiyoda-ku, Tokyo) and installed at the Tsukuba Plant (Joso City, Ibaraki Prefecture) of Mitsubishi Materials Corporation (Head Office: Chiyoda-ku, Tokyo) caught on fire. At present, the fire authorities are investigating the cause of the fire. NGK began shipping NAS batteries in 2002 and since then they have been installed in a total of 174 locations in 6 countries around the world, storing 305,000 kilowatts of electricity. NGK is putting the highest priority on identifying the cause of this incident and looking at measures to prevent a reoccurrence. At the same time, NGK has temporarily halted production of NAS batteries in the meantime. Furthermore, in order to make doubly sure of safety, NGK also asks customers who need to maintain a minimal level of functionality such as using the batteries as an emergency power source and so on, to consult with it on an individual basis about the method of operation. NGK has requested that customers refrain from using the NGK batteries until the cause of the fire is discovered. NGK has halted production of the energy storage product and reduced its revenue forecasts for the year by about 20 percent. BYD - Shenzhen, China - Based on the advanced Fe battery technology , intelligent battery management system, reliable power conversion system, BYD could provide integrated containerized solution according to clients' demand. The integration of the cabinets into a containerized enclosure ensures a particularly easy application. It is easy to transport the containers and they can be positioned flexibly. Based on the above configuration, BYD ESS can be scaled to virtually any multi-kW/MW power and energy capacity. Kokam - Suwon-si, Gyeonggi-Do Korea, - Kokam does not have the profile of its bigger Korean rivals such as LG or Samsung in terms of sheer volume, but it has been getting some pretty important commissions because of its leading battery technology. Primus Power Hayward, CA - In November 2009 Primus Power was one of sixteen companies selected by the Department of Energy (DOE) to receive a Smart Grid Demonstration Program grant. Their $14M award is part of an overall $47M project to commercialize, deploy and monitor a 25 MW • 75 MWh energy storage system to a California utility where it will firm intermittent wind energy. Primus Power is building a farm of flow batteries that promise to offer 25 megawatts of power for up to three hours for the Modesto Irrigation District (Modesto, California's utility provider). This battery farm will serve as a full-scale demonstration system, and it will store the region's wind-generated energy and provide an alternative to fossil-fuel-fired generation. Primus Power has developed a low-cost, distributed storage flow battery made of tanks filled with high energy density electrolytes that are pumped throughout the battery system. This flow battery can store renewable energy such as wind and solar power and then release that energy into the grid during peak load times. Since renewable energy is often variable, the ability to store this electricity to balance grid power is becoming significantly more important as renewables become more prevalent in the United States. AES Energy Storage - Arlington, VA - Nearly 30 years after their founding, they brought together a group of AES engineers and commercial developers to work on applying advanced battery technology to the electric sector. Beginning in 2008, AES focused on validating solutions and meeting customer needs through established commercial structures familiar to the utility industry. After many years, multiple generations of storage products and over $150m of investment in development and commercial facilities this commitment to meeting established utility customer needs with battery solutions has resulted in the Advancion™ offering. AES pioneered the use of grid-connected lithium-ion batteries during a project in Indianapolis in 2008. Globally, AES has 86 MW of energy storage projects in commercial operation and has announced 260 MW of interconnected battery-based storage, equivalent to 520 MW of flexible power resource, in construction or late-stage development. Sumitomo Electric - (SEI) has been involved in the development of redox flow cells since 1985 in collaboration with Kansai Electric Power. They have successfully built demonstration scale units for grid load leveling applications and have been building and installing commercial scale units in Japan since 2001. SEI has 16 operational VRB systems in Japan, which include peak shaving, utility and renewable energy storage applications, and has developed a 42-kW cell stack. A 3 MW x 1.5 sec. plus a 1.5 MW x 1 hr system for Tottori Sanyo Electric has been operating since 2001 at a large liquid crystal manufacturing plant as a combination of UPS for voltage sag compensation and a peak shaver to reduce peak load. Prudent Energy - Beijing, China (Bethesda, MD )- Acquired VRB Power Systems in January 2009, an electrochemical energy storage company that was commercializing the patented Vanadium Redox Battery Energy Storage System ("VRB-ESS") and itself acquired the intellectual property rights and assets to the Regenesys Energy Storage System. In May 2005, VRB Power had acquired a world-wide license to SEI's patents and technology (excluding Japan). Prudent Energy dominates the field for larger flow battery projects. The chemistry of flow battery projects is dominated by vanadium. Even the bigger projects are, well, not that big, with the largest currently a mere 4MW. Is this picture likely to change? Taking the aspect of capacity first, there’s no reason why not. Although they require a larger footprint than lithium-ion batteries overall, flow batteries tend to be more scalable, in essence simply requiring bigger or more tanks to contain a greater volume of electrolyte. The VRB Energy Storage System (VRB-ESS) is an electrical energy storage system based on the patented vanadium-based redox regenerative fuel cell that converts chemical energy into electrical energy. Energy is stored chemically in different ionic forms of vanadium in a dilute sulphuric acid electrolyte. 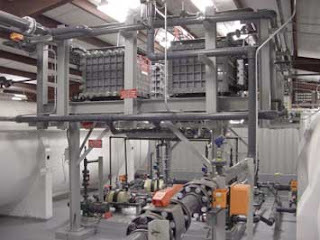 The electrolyte is pumped from separate plastic storage tanks into flow cells across a proton exchange membrane (PEM) where one form of electrolyte is electrochemically oxidized and the other is electrochemically reduced. The chemistry is dominated by vanadium. In fact, all the projects above involve vanadium redox flow batteries. Xtreme Power, Kyle TX - A privately held company and has raised in excess of $50 million since its founding. Partnering with the Castle & Cooke Hawaii solar farm on Lanai known as La Ola to create a battery system. The plan is for Xtreme Power, a battery storage technology company, to help smooth out the power feeding into Lanai’s electric grid. The battery will help boost the current output of the solar farm. It doesn’t have so much to do with storage, but to help with cloud coverage. It really helps smooth out the system. Nice post....HSD technology produces a full hybrid vehicle which allows the car to run on the electric motor only, as opposed to most other brand hybrids which cannot and are considered mild hybrids. love reading your blog. It is really very impressive. I want to leave a comment in your support.